What’s it about: The power of checklists! The author talks about how many tasks today involve many steps and simple checklists can catch and prevent simple errors that could have huge consequences. Many errors that are made in certain fields are not because of lack of knowledge but because we fail to use that knowledge properly. 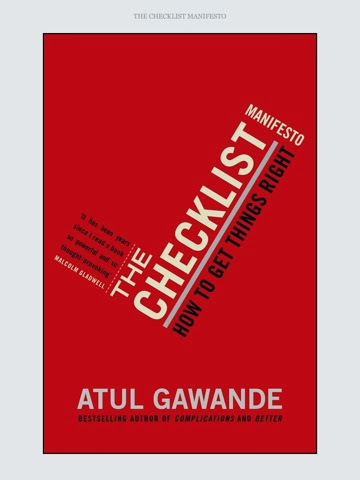 Gawande was one of the surgeons involved in a World Health Organisation project that ends up creating a checklist that has made surgery safer worldwide. There are lots of brilliant illustrations and great stories. Why did I read it: Another work book! I've been looking at how we could create checklists for some of the things we do. Favourite idea: That checklists allow us to capture the minimum number of steps required to successfully complete a task. They are not a bad thing but serve us!